What does it mean to be effective rather than productive. Productive minded people tend get things done, regardless of how difficult things are. Tasks are just a checkbox in a list. Effective people look at the outcome, the long term impact and consciously pick tasks that yield the biggest results. Effective people understand prioritization and importance of tasks. The highest-performing 10% of workers tend to work for 52 minutes followed by a 17-minute break. This statistic talks about being productive. Being effective has nothing to do with your concentration and motivation towards a task. Being effective means prioritizing those tasks which deserve your ‘productive’ time. If you do not know what is important to your goal, working for 8 hours of productivity does not mean anything. The most crucial part of time management is **choosing **to what you devote your time to. Being Effective is the big picture in your goal achievement plan and being productive is how perfectly you execute that plan. Being effective and being productive must go hand-in-hand. We can be productive and weave the illusion of being busy and give ourselves the idea that there is progress towards our goal, but in vain. 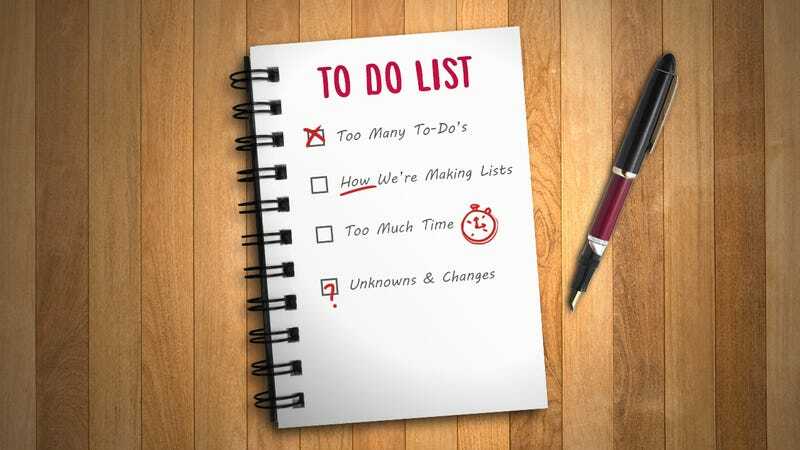 Restrict the size of your todo list: What would happen if you could only add three tasks to your todo list? You’d be a lot more picky about which tasks you put in it. Limiting your todo list will make you see clearly of what is important and what is not. Limit tasks to 5 per day and if you can first able to do them, then increase. Work on it by endurance. Piling up only leads to confusion in the mind and inattentiveness to the other tasks as well. So keep your planner short and sweet. Break big tasks into smaller tasks and de-prioritize the non-essential: Let’s say you have a task called “Build website”. This task is so high level that it probably encompasses “busywork” that will yield very little result. Instead I suggest breaking this task down to a very specific list of essential subtasks that will impact the outcome the most. A pile can affect productivity sub consciously. Following up with important tasks and breaking them up greatly affects your efficiency. While breaking down a bigger task, by writing down the smaller tasks, you actually strategize and plan what you need to do and concentrate on them fully when you do them. Focus on Quadrant II tasks: Tasks which are not urgent and important are basically tasks that will uplift your progress chart. These comprise planning, execution, new ideas and essentials which need your highest productivity. When there is no urgency, these tasks come out with your highest productivity and creative ideas. This is the quadrant where your progress is dependent on. Spending the maximum time at this quadrant will assure you of effective usage of your time. Your aim is to make sure the tasks do not end up being urgent and important, but completing them before the stage of urgency. Learn to delegate: By using other people’s skills and time, you can multiply your own outcome. There is a reason when organizations and companies grow, there is hierarchy. The hierarchy exists because it is essential. Managing is a task of it’s own. You cannot always do things on your own but need outside help to ease the pressure down. Do whatever you need, but asking for help will take you further than anyone else. Always use delegation to your advantage when you have the option to and you can focus on management and what to do next. By focusing on prioritization, restriction and delegation, you have the perfect cocktail for an effective formula for achieving your weekly goals and tasks in place. And do not forget, keep going higher!